Did you know they are EIGHT years old now? The deadline to play along is by Sunday, April 3rd, at 8 p.m. 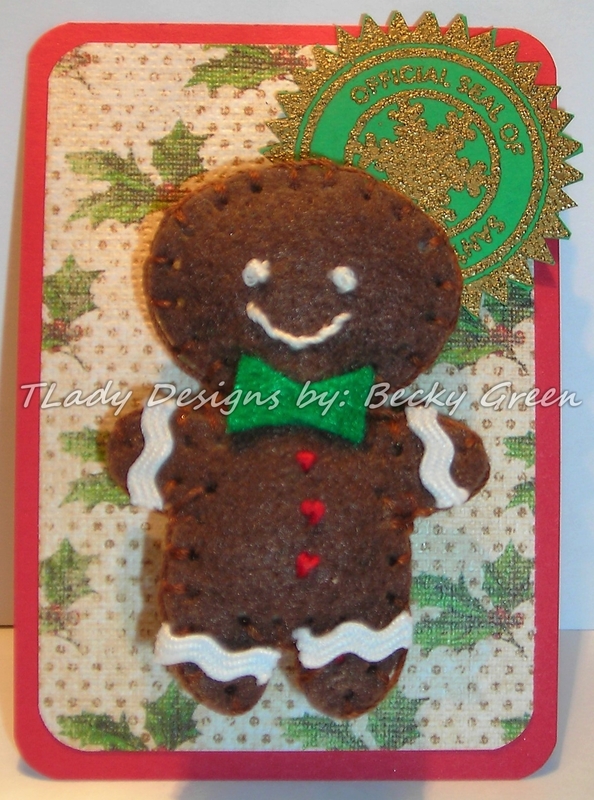 I chose to use the image Barn from ODB's sister company, North Coast Creations. 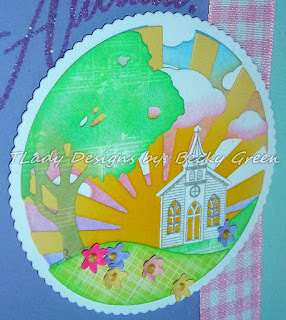 I stamped it on ODB's Designer Paper- Rustic Beauty Collection. 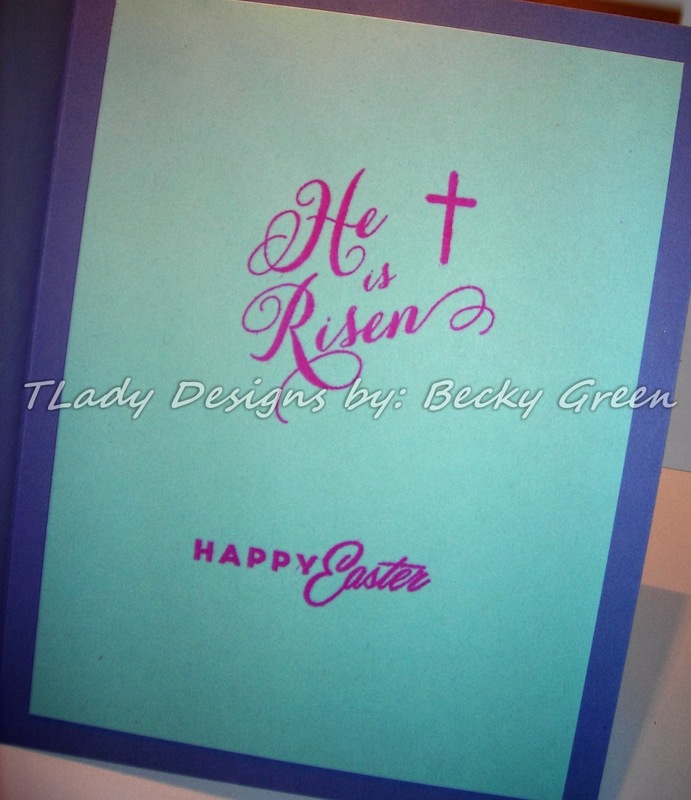 For the Scripture part of the challenge, I chose the Scripture from the set Living Water from ODB. 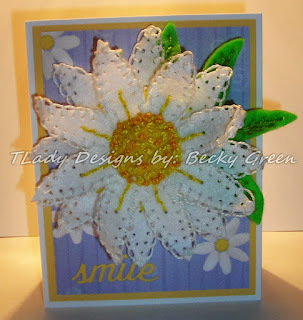 Stamping it on a Spellbinders Classic Circle & mounting it on the ODB Doily Die. 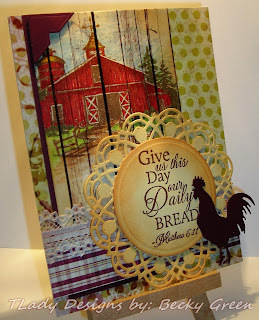 For the Lace part of the challenge, I deem the Doily Die as part lace & I added a strip of lace on top of the plaid strip from the ODB Rustic Beauty Collection. 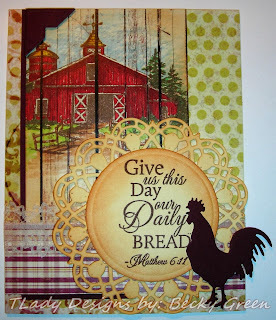 Country living reminds us of where our "daily bread" comes from. There are additional things I used & I'll list them below. I tried to create a colorful Sunrise. 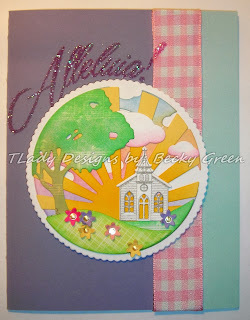 I gave the clouds a little pink from the sunrise too. 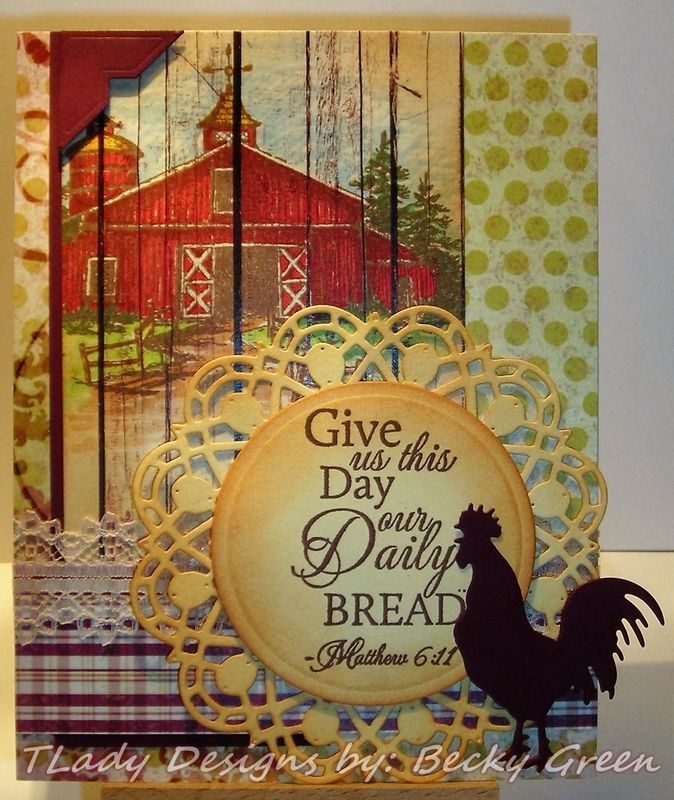 *Paper- SU, Echo Park- Everyday Eclectic. 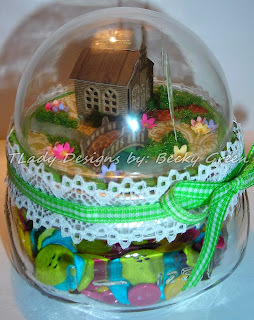 This little Chapel is made with Echo Park-Everyday Eclectic papers. 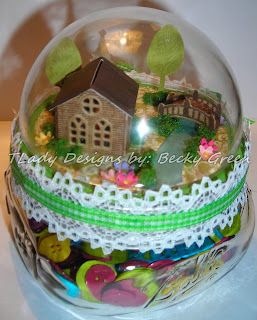 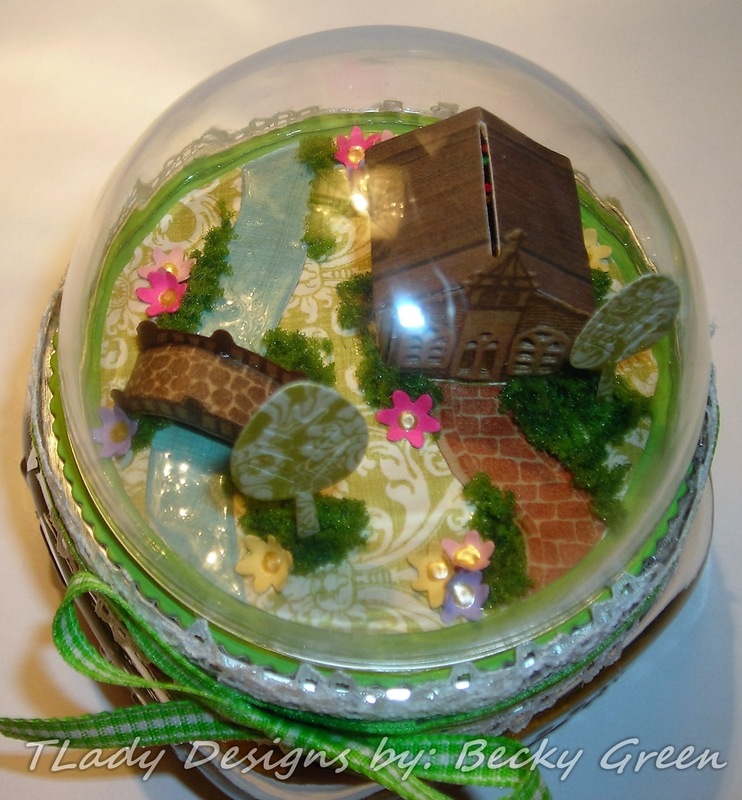 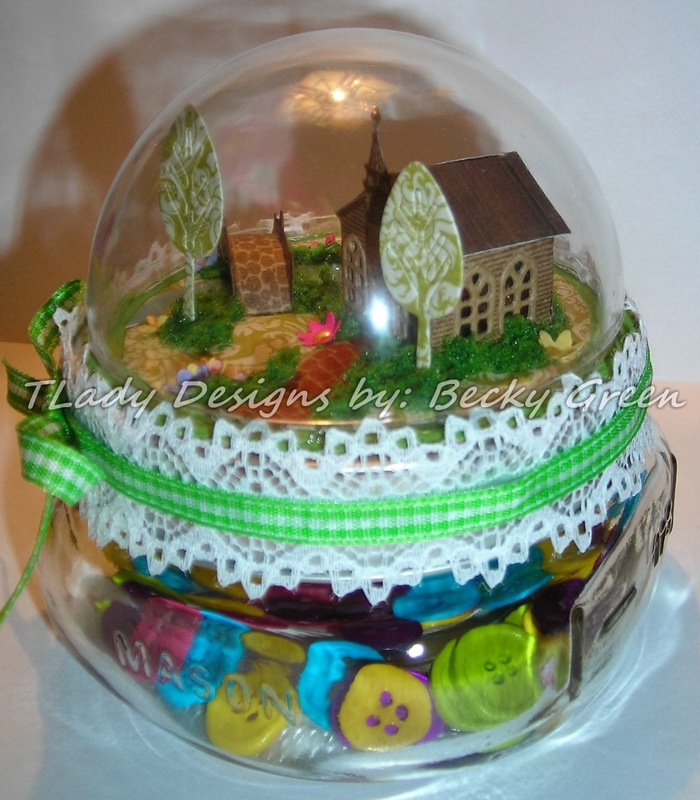 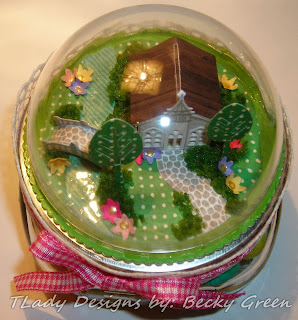 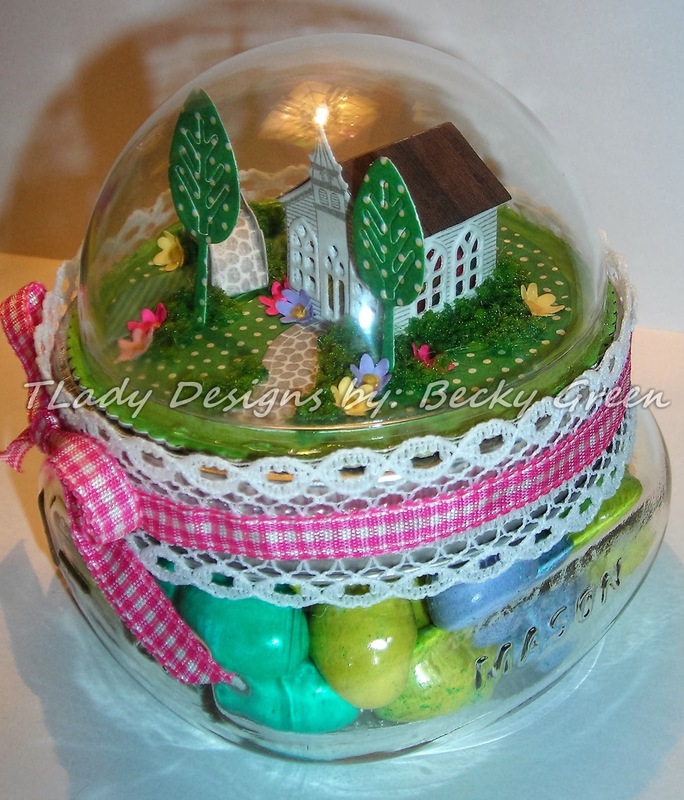 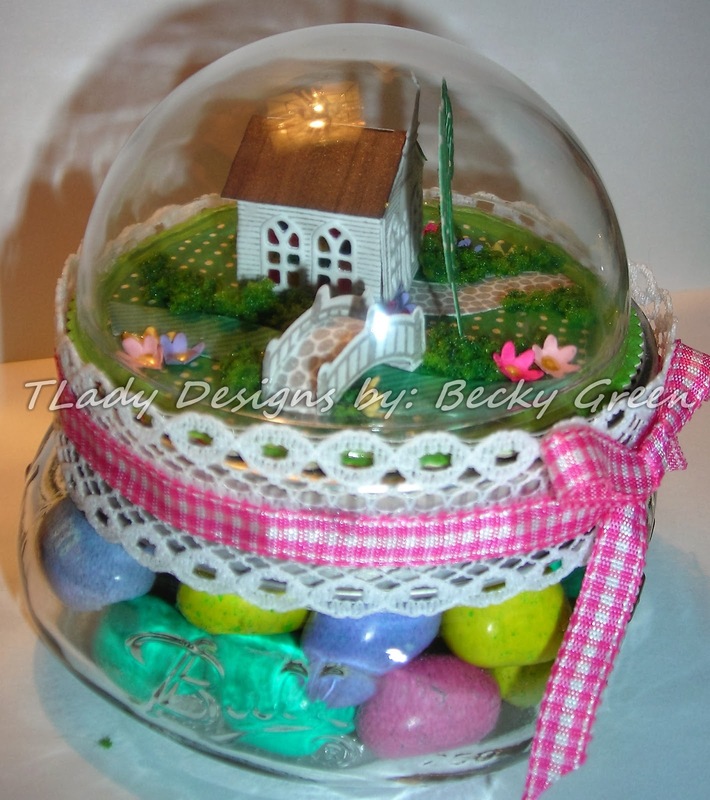 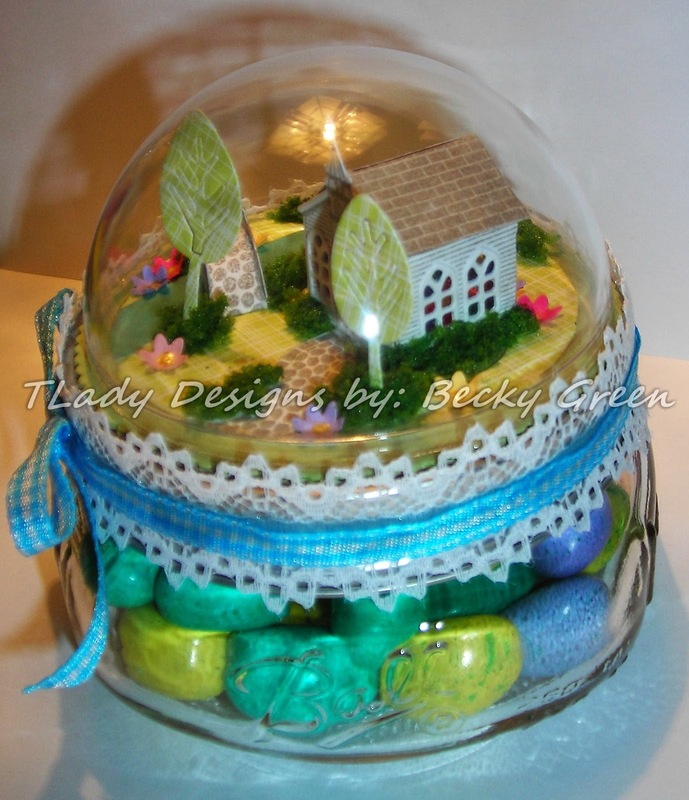 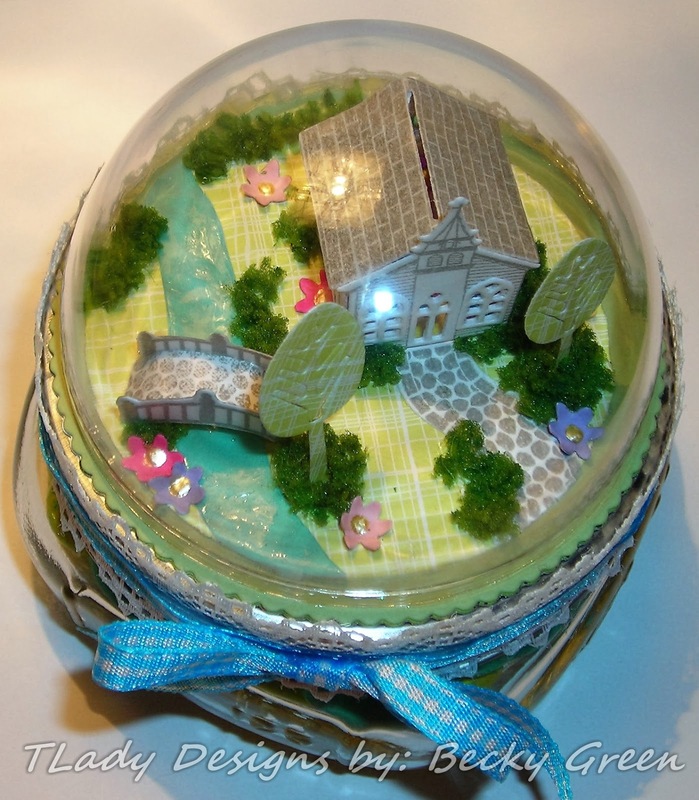 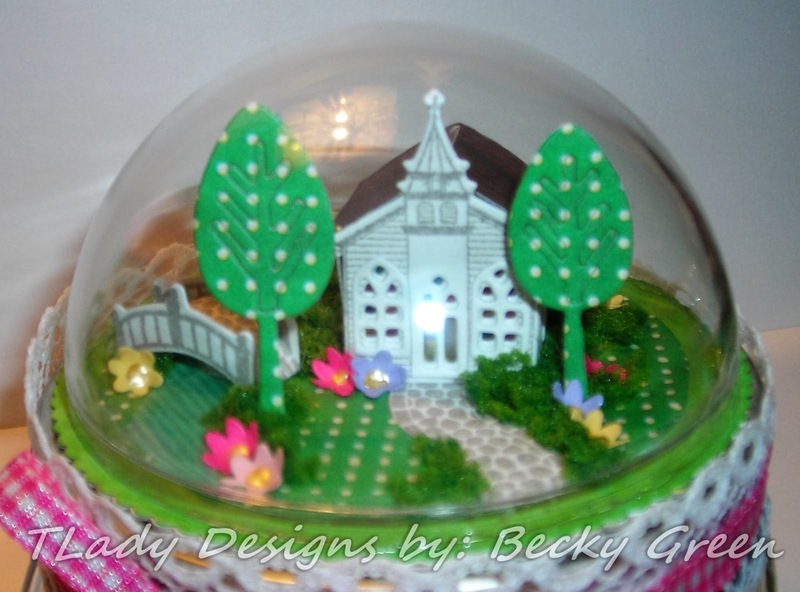 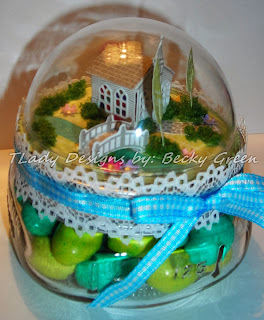 This chapel was made with: My Mind's Eye- Collectable Papers & Paper Reflections Paper. 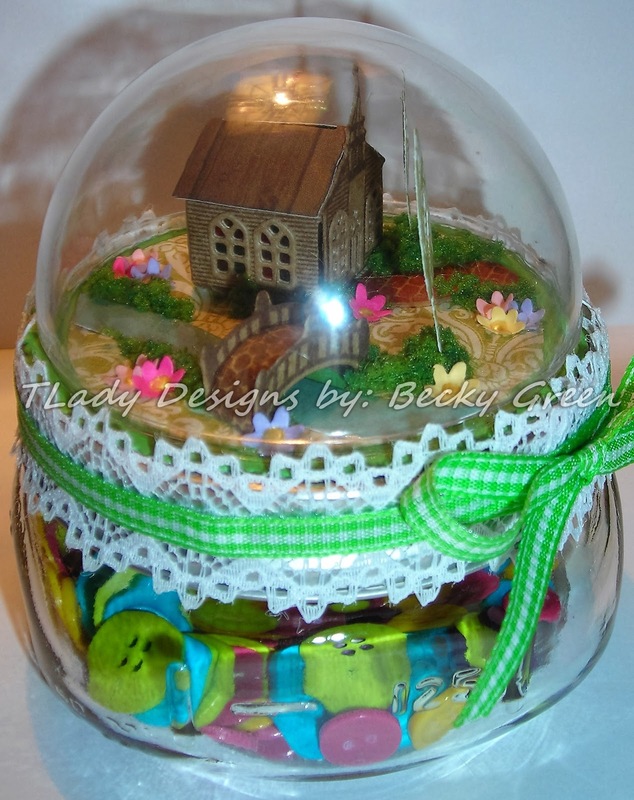 Lastly, I made a little brown chapel. 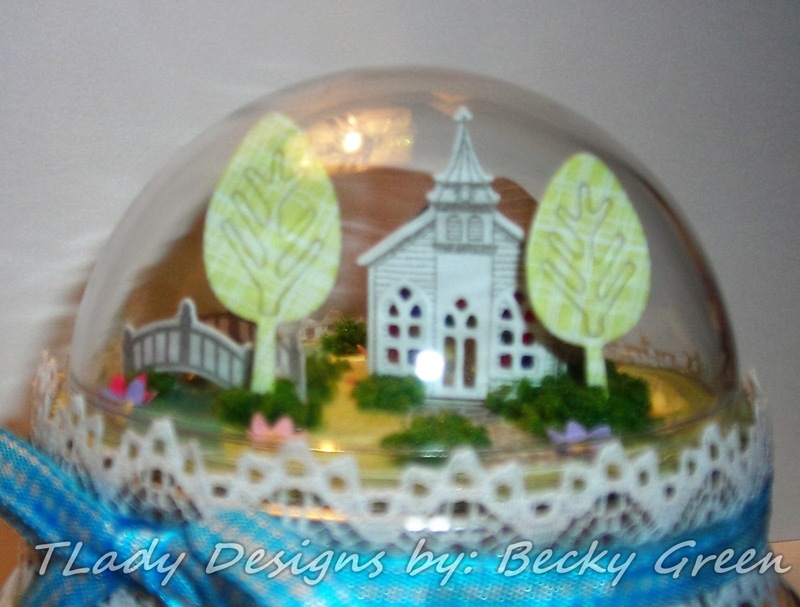 This chapel was made with: Teresa Collin-Fabrications Paper, Paper Reflections, My Minds Eye- Collectible, & Kraft Card Stock. 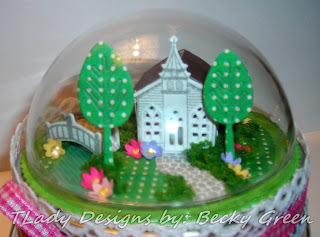 PTI- Walk In The Park. 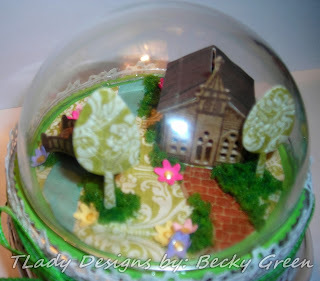 * I used JTT Scenery Products-Found at Hobby Lobby for the greenery. 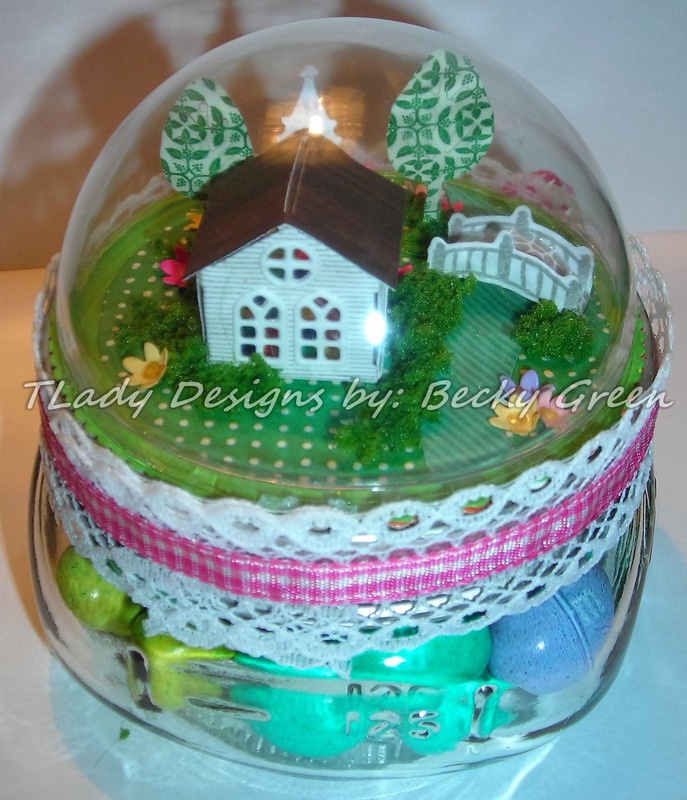 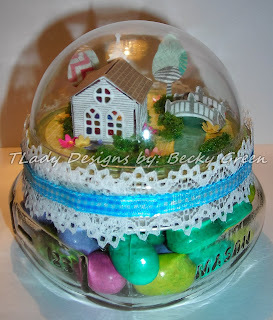 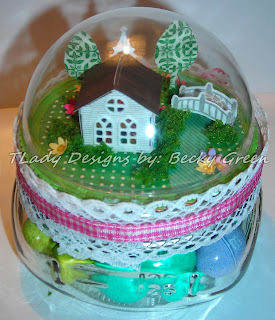 *Diamond Glaze to seal the dome in place & attach the ribbon & lace. 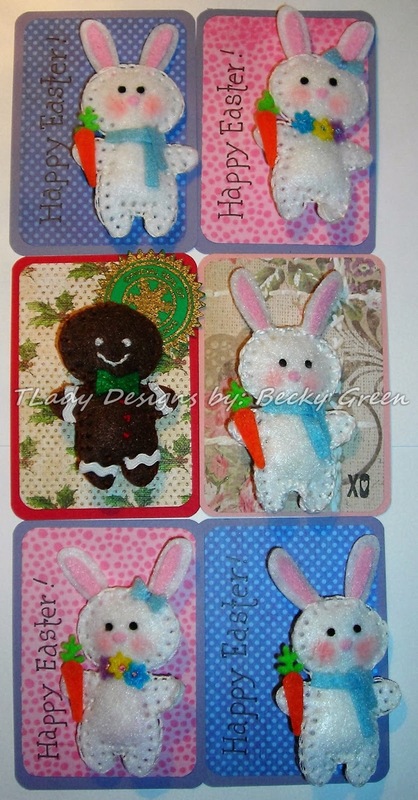 I can't wait to send these off in the mail to friends! I see His hand of mercy, I hear His voice of cheer, And just the time I need Him He's always near. 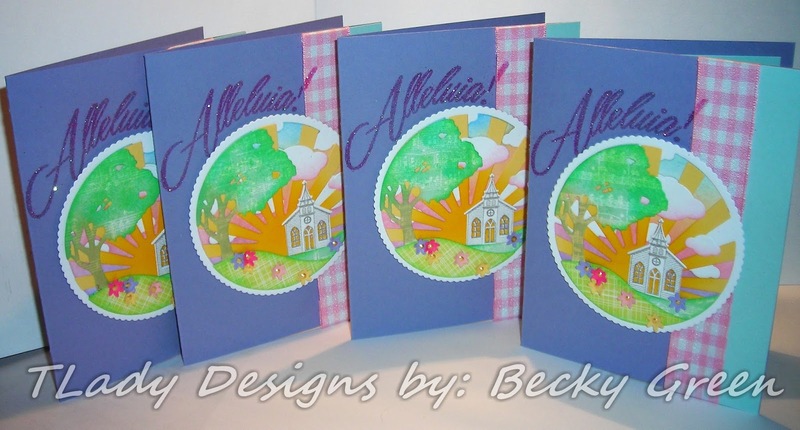 He walks with me & talks with me along life's narrow way. 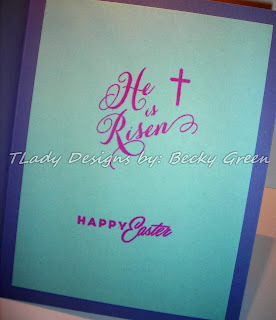 He lives within my heart." 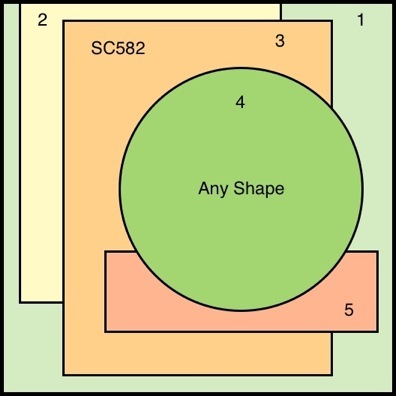 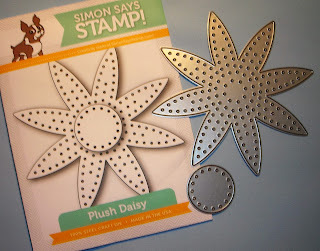 Simon Says Stamp Wednesday Challenge Blog! 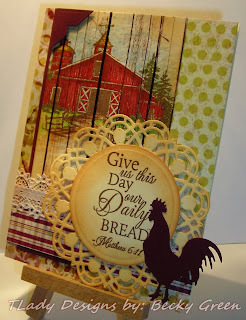 I couldn't find any "inspiration" on how to use this die, so just maybe I can offer you some? 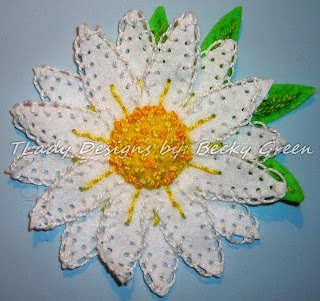 I die cut two of these daisies & embroidered one here, following the holes that were provided. You can see the difference between one embroidered & one that isn't embroidered yet here. 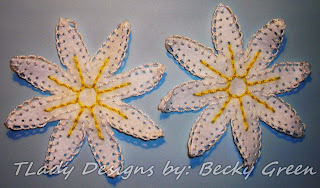 Both are embroidered here. 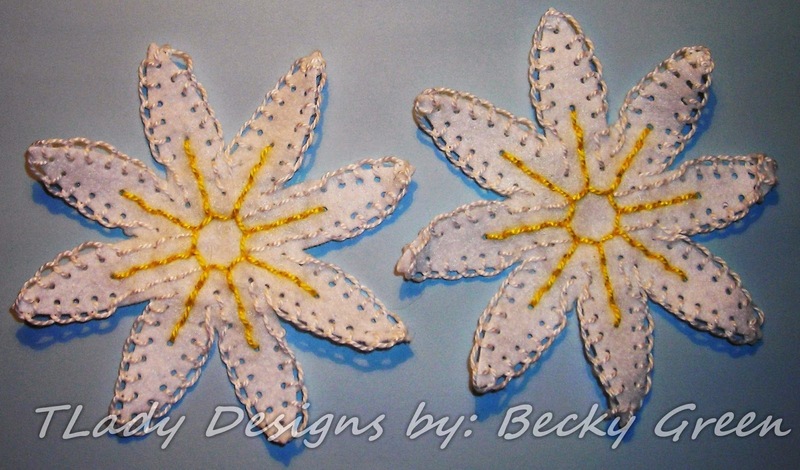 I found that the stitching gave these little felt flowers more body. 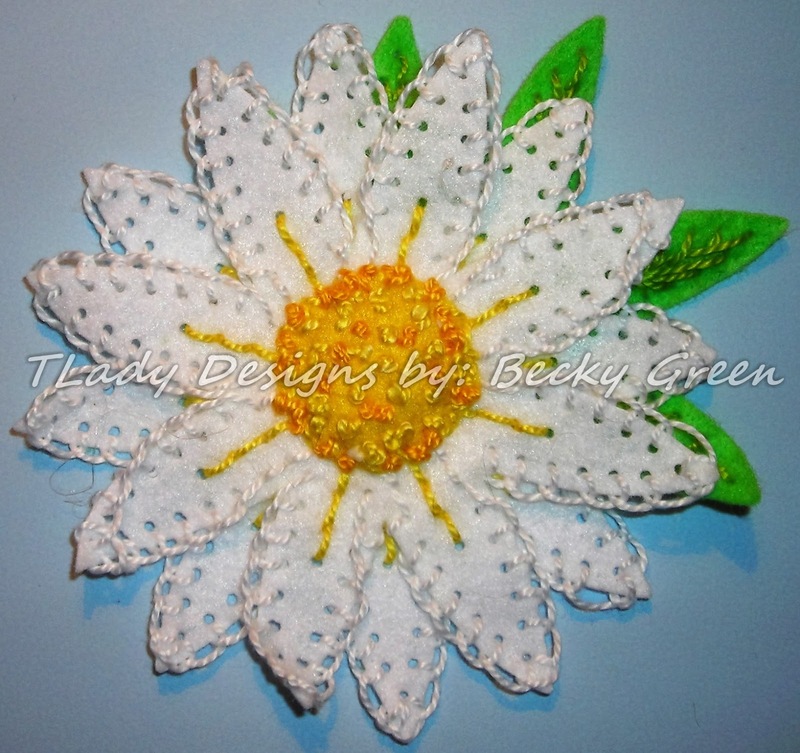 I also used Craft Embroidery Thread as it is a little thicker. Remember to not pull your threads too tight. 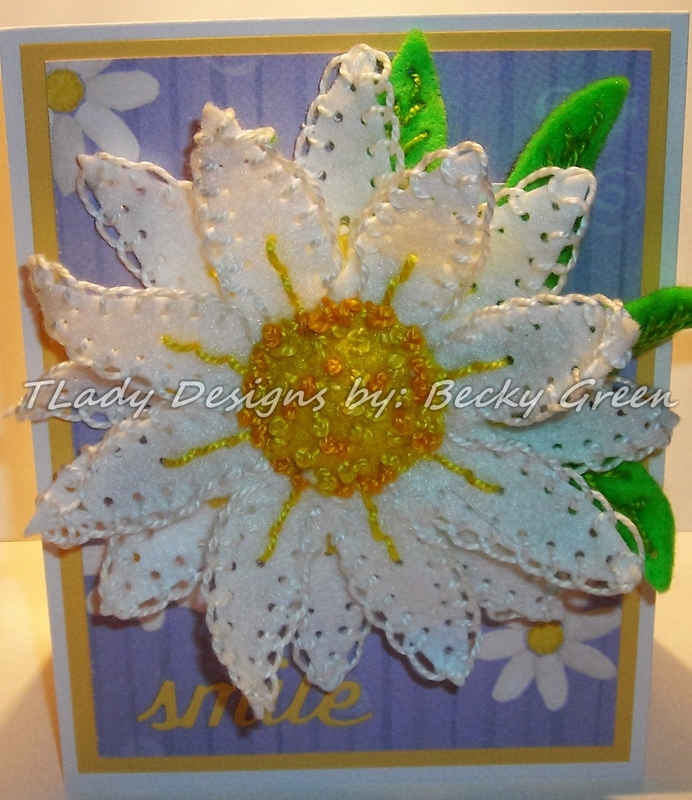 Here I stacked the daisy petals & added the yellow center & stuffed a little cotton batting behind it for dimension. 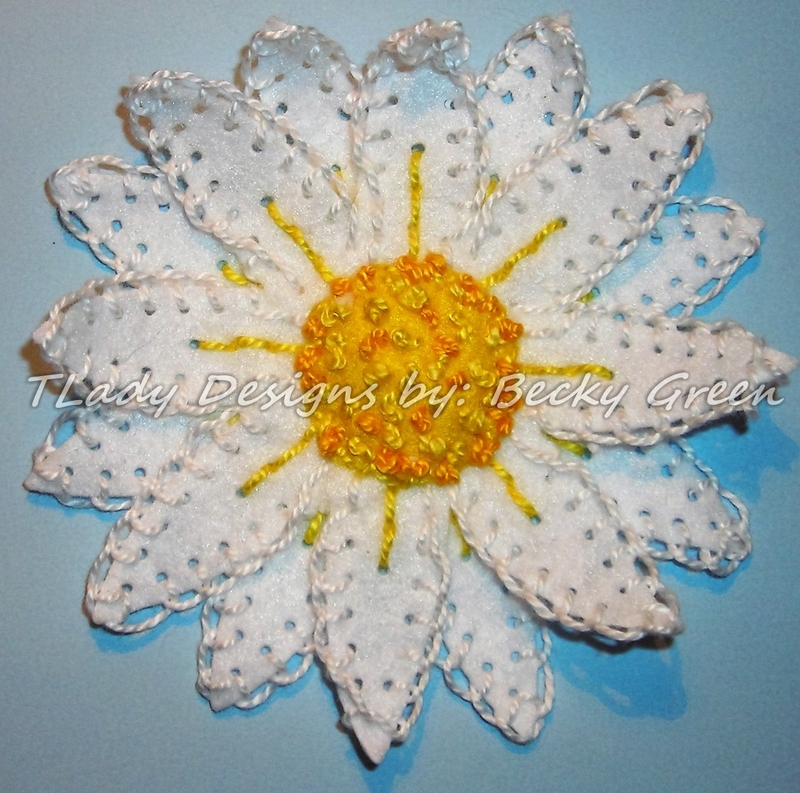 I also stitched French Knots all over it in two different colors of yellow for added depth & added interest. 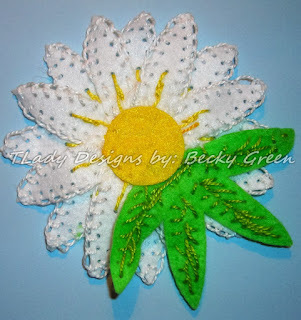 Next, I cut one of the daisies in green for leaves & embroidered half of the leaves in a different direction than I did the flower petals & cut the piece in half, leaving a little point to help adhere this to the back of the Daisy. I cut an extra yellow circle from the set to cover all the stitching on the back of the daisy & to give my pin a base. Using a hot glue gun, I attached the green leaves & then the yellow circle & then the pin backing. 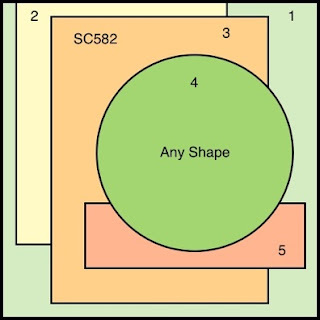 Here's what we have now. 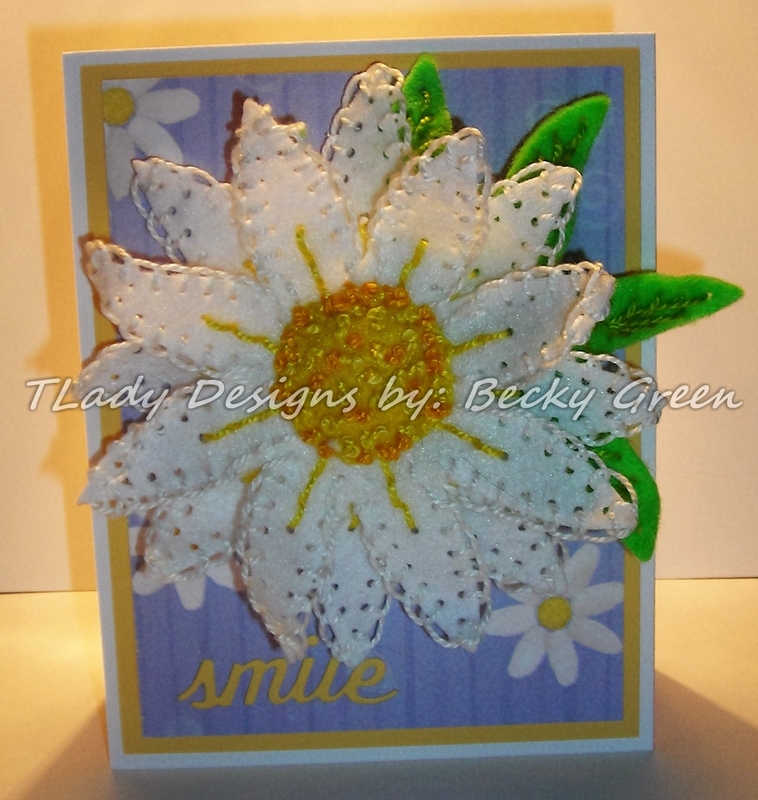 Next, I created a card for my pin to be attached to. 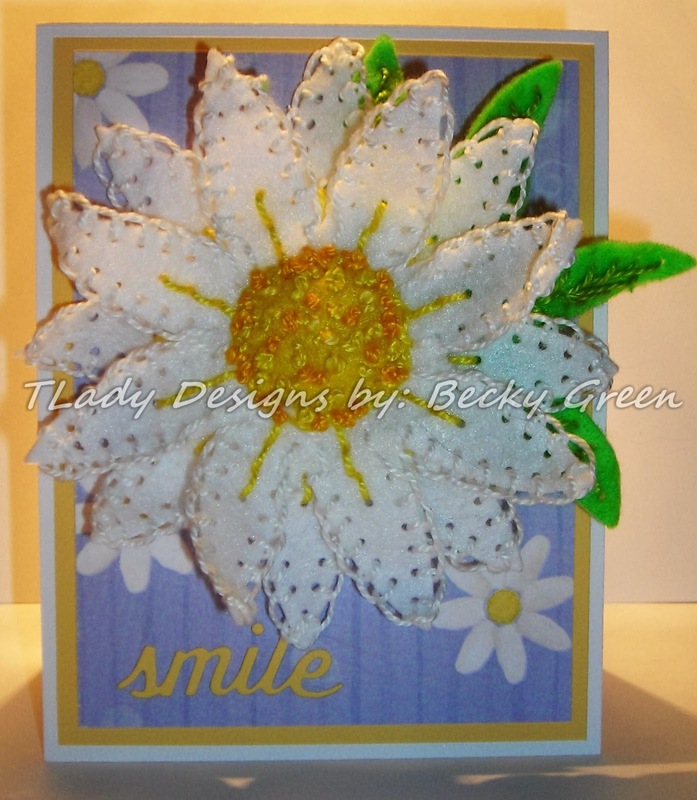 I wanted to keep it fairly simple since the pin is the highlight of the card. 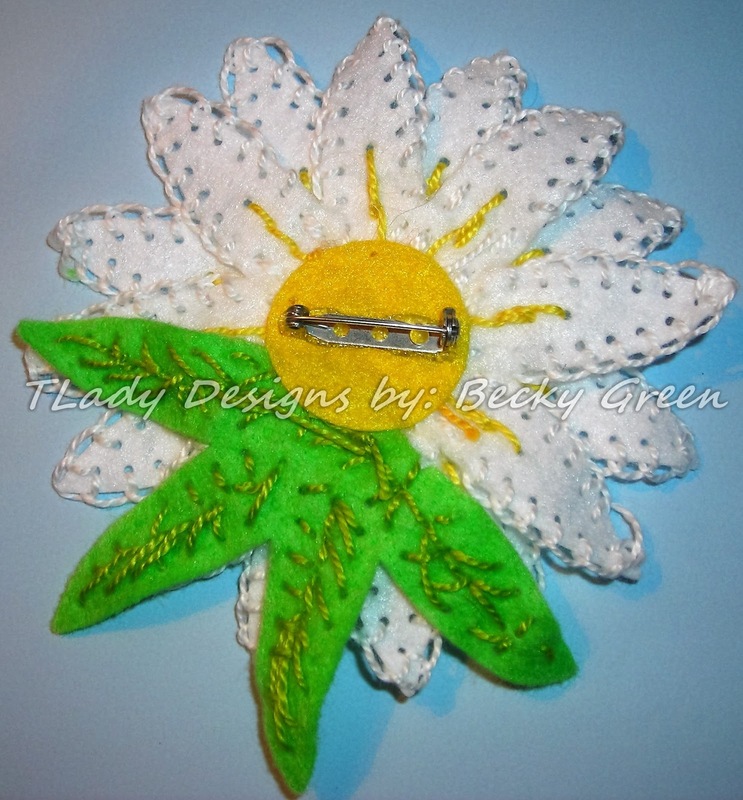 so you can pin on the flower more easily. This is mounted on a 4 1/4" x 5 1/2" base card. 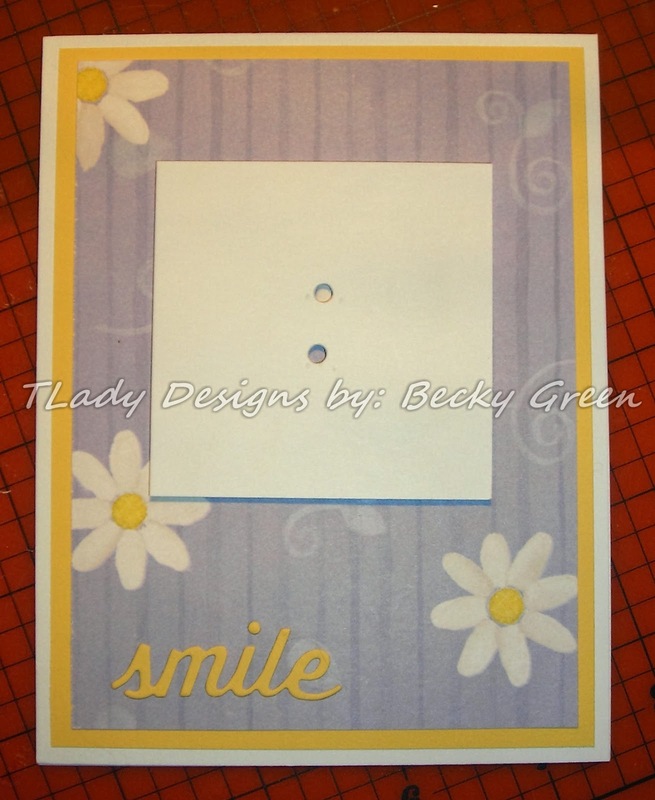 Here I lined up the 1/8" holes I made with a Fiskars Hole Punch. Don't make these holes too far apart or you'll have trouble pinning the flower to it. I usually make marks with a pencil to line up the holes. This card has LOADS OF TEXTURE!!! 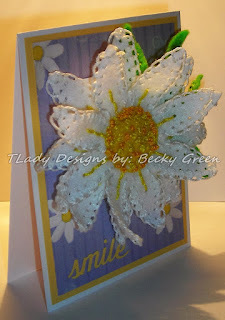 And LOADS of Sunshine to make the recipient SMILE! 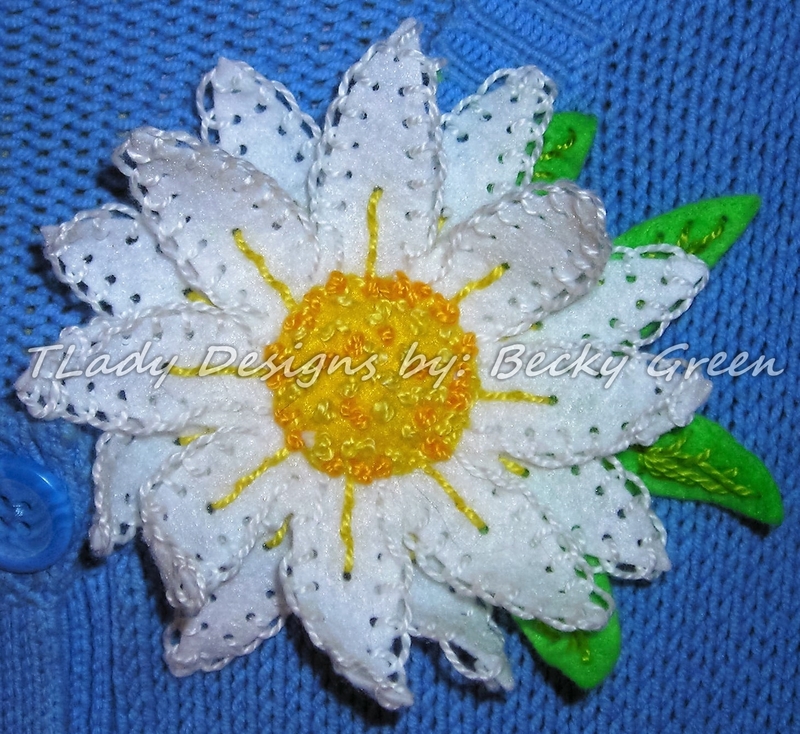 I thought this flower would look lovely on a Spring sweater. 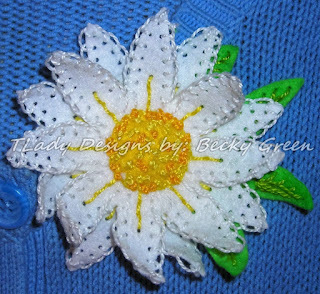 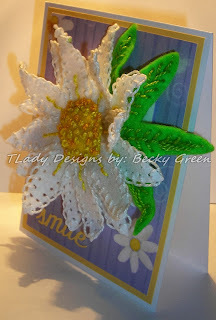 There's just something about a white & yellow daisy on a blue sweater, don't you think? The blue sweater just seems to bring out all the little stitches! 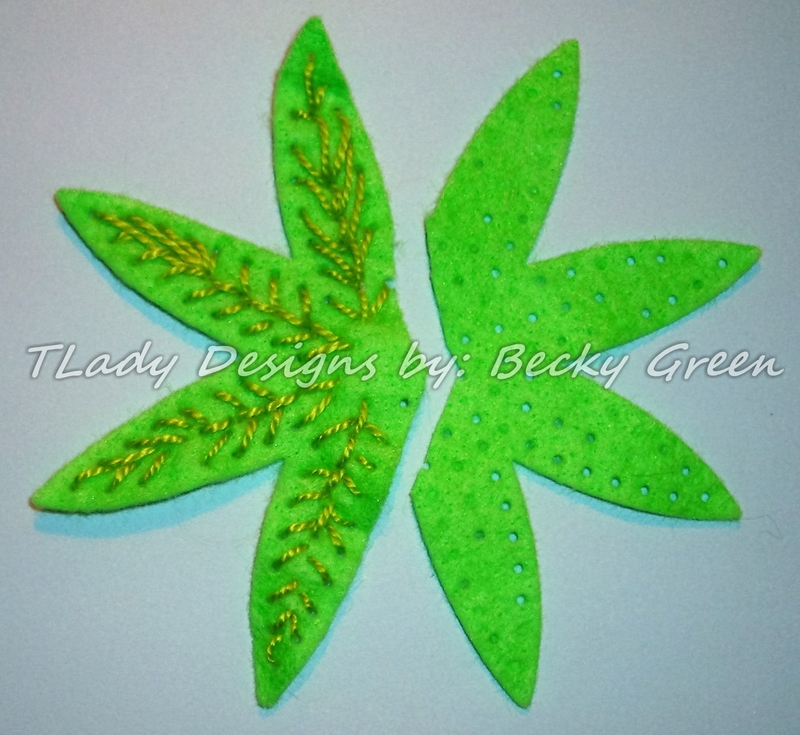 You could put this on a hat or on a purse, or tote bag....the possibilities are endless! 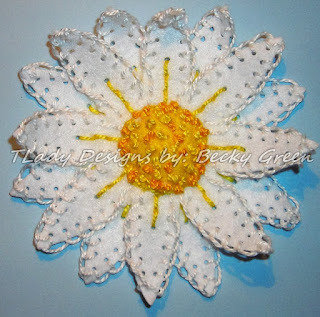 I think if you die cut material & added Therm O Web HeatnBond Iron On Adhesive, you could add flowers to a pillow or whatever your heart desires! Dreaming of Spring flowers here & enjoying the NEW Plush Dies at SSS! Add texture to you creations! 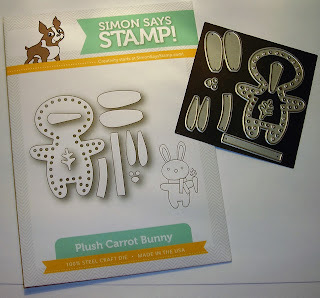 Well, I am working on Easter things here, & I received a package in the mail on Saturday of my win from Simon Says Stamp! That little package included THREE DIES! 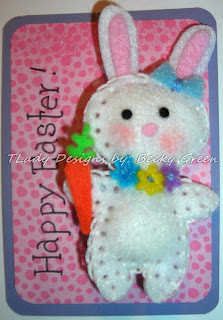 I can tell you now, this little bunny is going to be used A LOT by me! 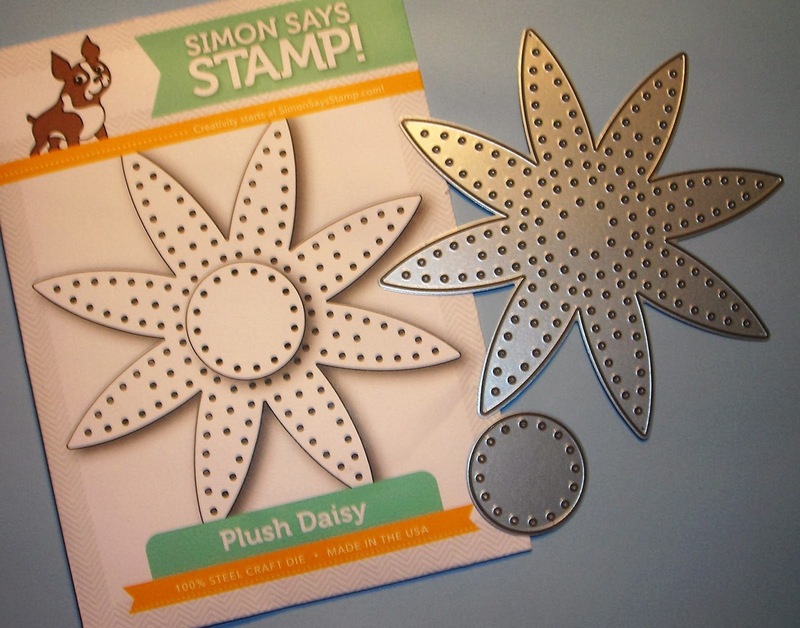 The dies come on a little magnet, so you don't loose the little pieces. 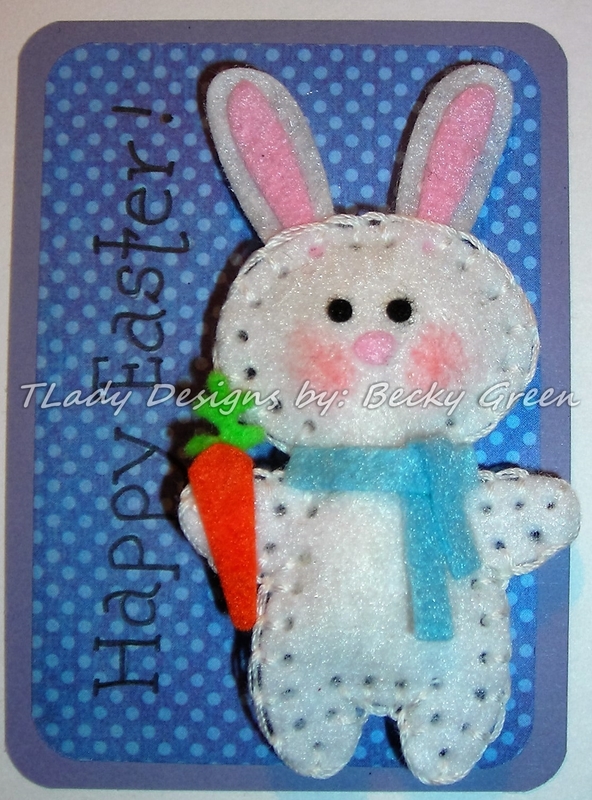 So, I went about playing.....I decided to make little pins with this little bunny! 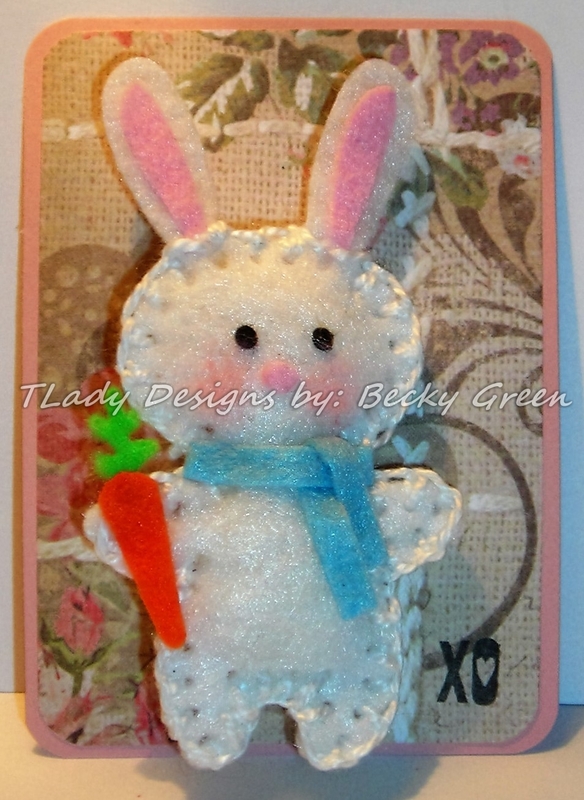 I made a little ATC to attach the pin to. 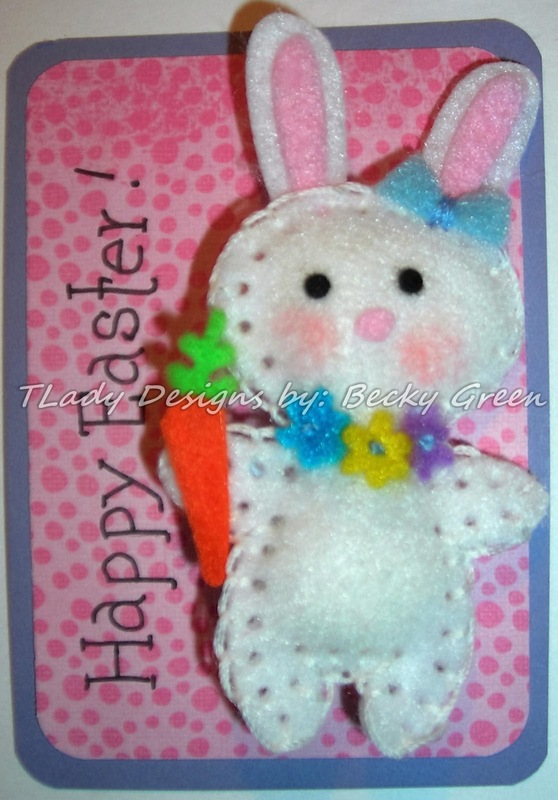 I liked how this little bunny came out with the regular embroidery floss. 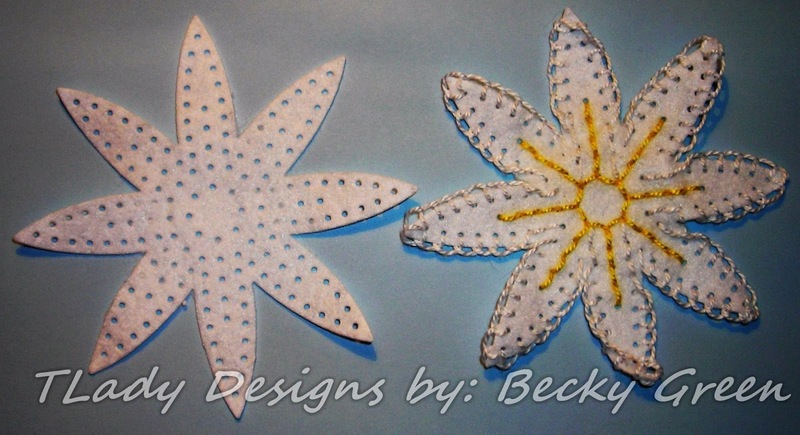 So of course, I made some MORE! 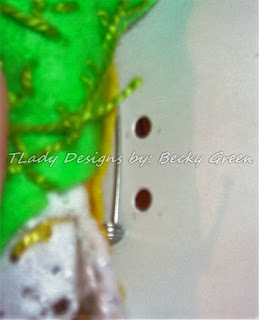 & just whip stitched the bow on her ear. 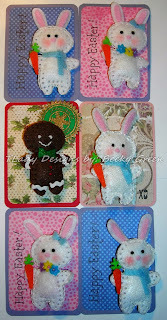 NOTICE: I used a Guava Gelato for the pink cheeks on all of my bunnies! 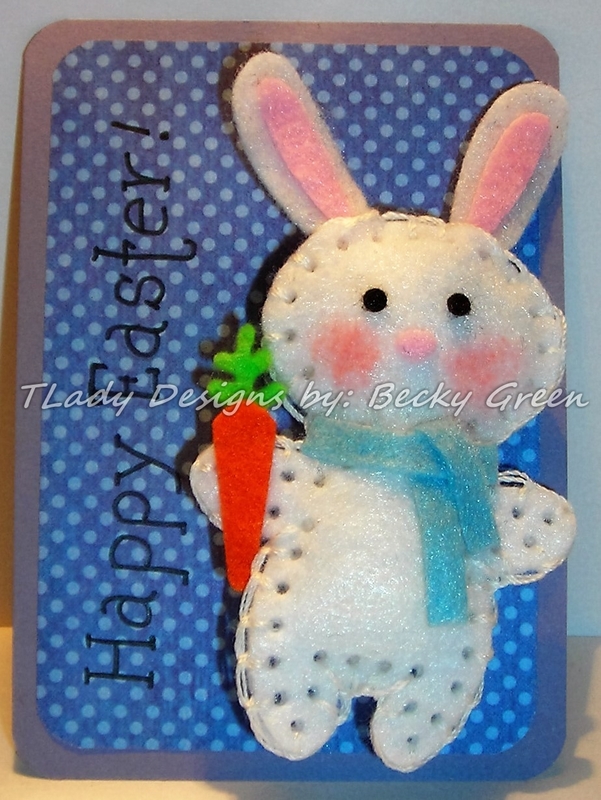 I was HOOKED, so OF COURSE, I made more! 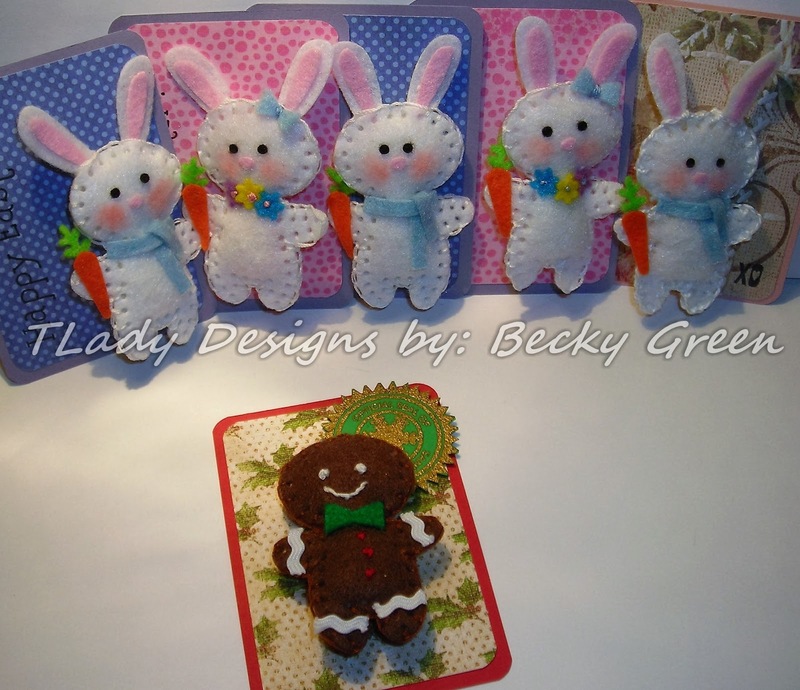 French Knots for the eyes & buttons, & a straight stitch for the mouth & Baby Rick Rack. we woke up & we had a HERD of bunnies having a party! 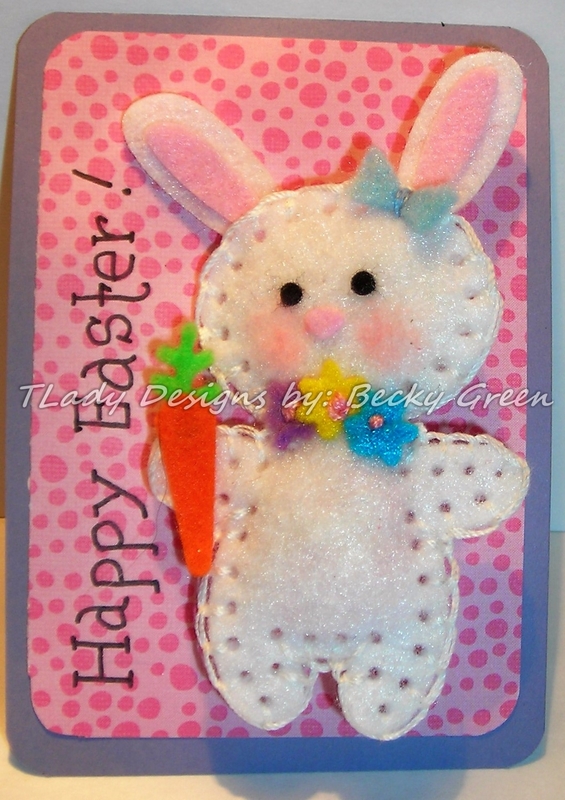 HOPE you like these soft little bunnies! I think you might even be able to come up with even more ideas for using this SWEET little die! DCWV- Spring Fling & Summer Days & Paper Studio- Old World Winter.